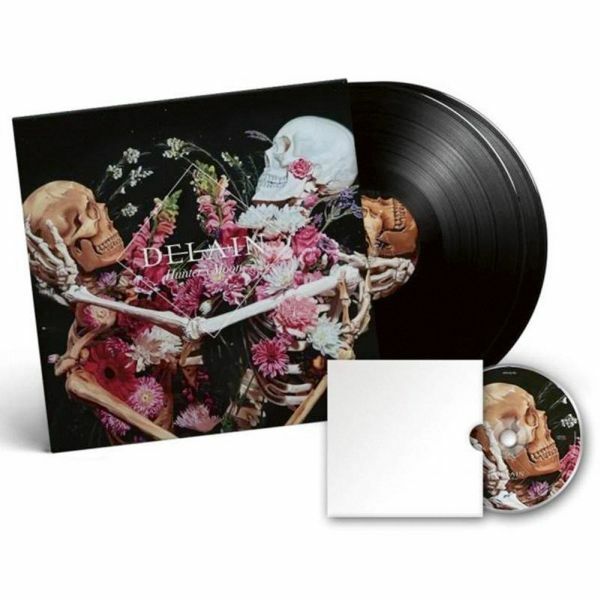 DELAIN - HUNTER’S MOON VINYL (2LP BLACK+BLURAY) | Online Shop | Wizard LTD. Album: "HUNTER’S MOON VINYL (2LP BLACK+BLURAY)"
Without a doubt: Delain belong to the golden spear head of Symphonic Metal! After last year&apos;s release of their very first live album the Netherlanders present another live masterpiece – including four brand new studio tracks! Hunter&apos;s Moon consists of this fresh material, a live album and a live Blu-Ray disc. The catchy title track Hunter’s Moon and the larger than life orchestral Masters of Destiny offer a haunting preview of what Delain is working on for their next studio album, due 2019. The band’s guitarists step to the forefront in composing two tracks exclusive to this release in This Silence Is Mine (Timo Somers) and Art Kills (Merel Bechtold). The live portion of the release will take you on a cinematic journey to the Danse Macabre Tour in Utrecht’s Tivoli Vredenburg. The majority of the live album features the deep tones of Nightwish’s Marco Hietala and includes heart rendering hits like Nothing Left, Your Body Is A Battleground and Control The Storm. Epic is no expression at all!